Despite receiving mixed reviews from the critics, Jhanvi Kapoor and Ishaan Khatter-starrer 'Dhadak' turned out to be a commercial hit. The newcomers were praised for their camera confidence and performance in the film. On Thursday night, the team gathered under one roof to celebrate the success of the film, which has joined the list 100-crore club. Janhvi, who came dressed in an LBD, was the centre of the attention and looking a pretty face. She was accompanied by her younger sister Khushi Kapoor, who was dressed in a colour coordinated crop top and matching pants. The Kapoor sisters are getting stylish with every outing and are making heads turn with their glamorous appearances. Ishaan, who too was present at the bash, is one of the cutest young actors of the industry. The young Kapoor boy is blessed with extraordinary acting talent and is expected to be the future superstar. He proved his acting mettle in his debut film 'Beyond The Clouds' and we were totally impressed with him. The 'Dhadak' team including director Shashank Khaitan, Dharma Productions CEO Apoorva Mehta, KJo, Ishaan, Janhvi posed for a group picture together. Janhvi's youngest sister Khushi had also joined them for the click. Dhadak's 'Madhukar' and 'Parthavi Singh' here are seen posing with film director Shashank Khaitan. Janhvi Kapoor poses for a click with her younger sister Khushi, who is also eyeing to make her acting career in Bollywood. We really loved Khushi's style sense. The pink furry footwear she donned for the bash caught our attention. 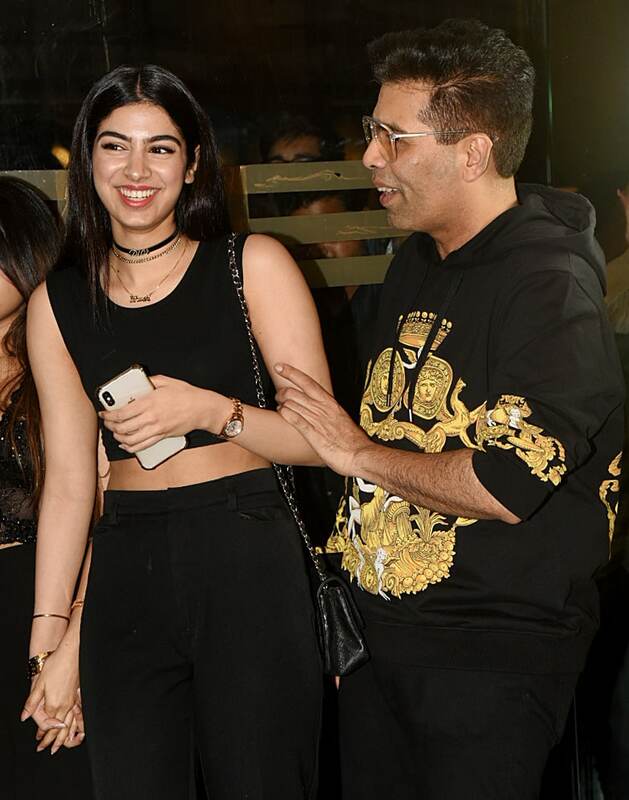 Janhvi seen hugging her mentor and 'Dhadak' producer Karan Johar. 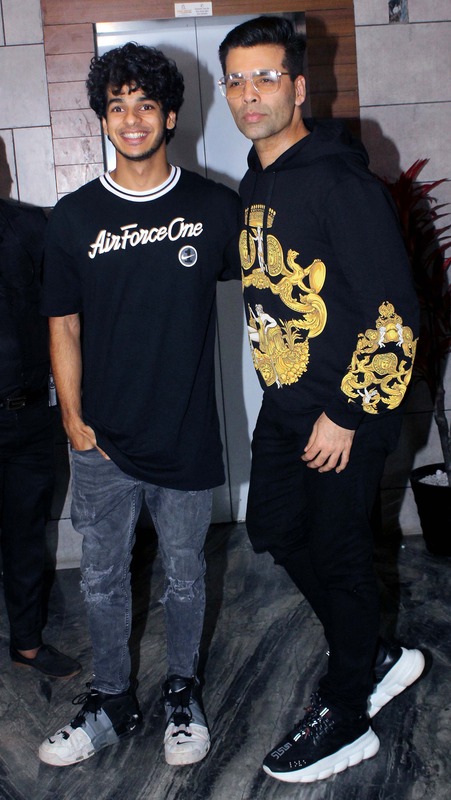 For the evening, KJo was seen wearing a black sweatshirt with golden prints and his trademark pout. Ishaan and Janhvi's chemistry in the film and on the sets during the shooting was always talked about. The duo is said to be good friends are share close bond with each other. In fact, Ishaan has once even revealed that working with Janhvi on the sets made him felt like being on set with his best friend. KJo having a good laugh with Khushi Kapoor.